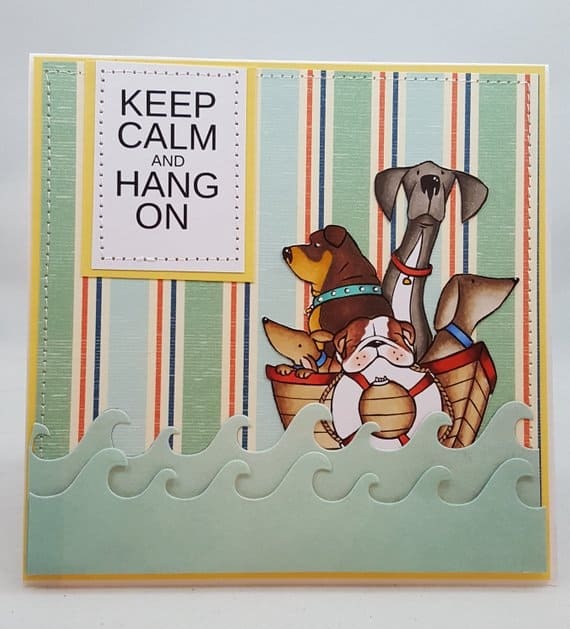 Seeing this Hurricane Dogs Keep Calm Notecard has me wanting to order several of these! Today is daily blog post #1,295 celebrating letter writing! These two previous AnchoredScraps blog posts I’m including given Hurricane Florence continues to be approaching Wilmington. Over at the Etsy shop Creations By Wendalyn the handmade item is showing the pricing at $5 each. 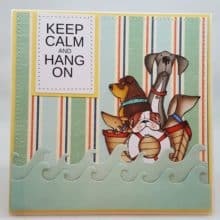 “Beautiful handmade card. Lots of layers and is very adorable. Copic Colored and Sewn inside and out. Adorable in person. Thank you for joining me today. While writing my post this evening it has been nice having the Chicago Cubs on ESPN playing. It was time for a break from the round-the-clock monitoring the Weather Channel for coverage. Here’s to a minimum of impact from Hurricane Florence – please stay safe!